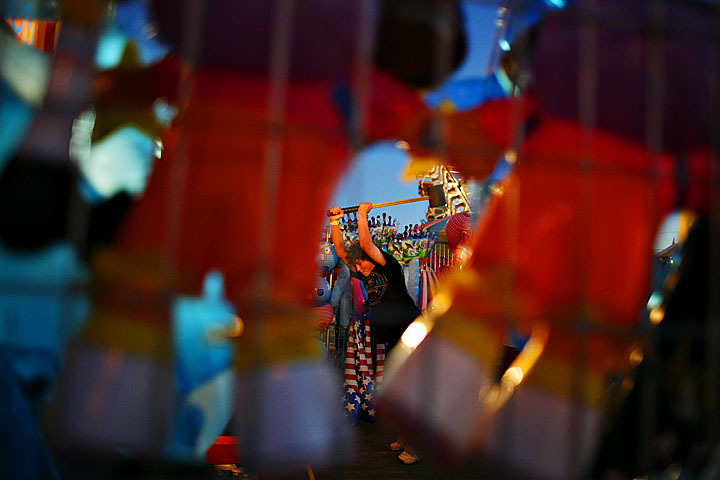 I spent some time at a fair yesterday. I had two purposes while there. The first was to make pictures for a story slated to run soon about the legalization of owning pygmy goats in the city limits of Seattle. At the fair was a barn full of pygmy goats and the people who love them. The second assignment there was to make an LO (lines only) photo, also known as wild art. I made deadline, around five o’clock, and then went back after work for better light. 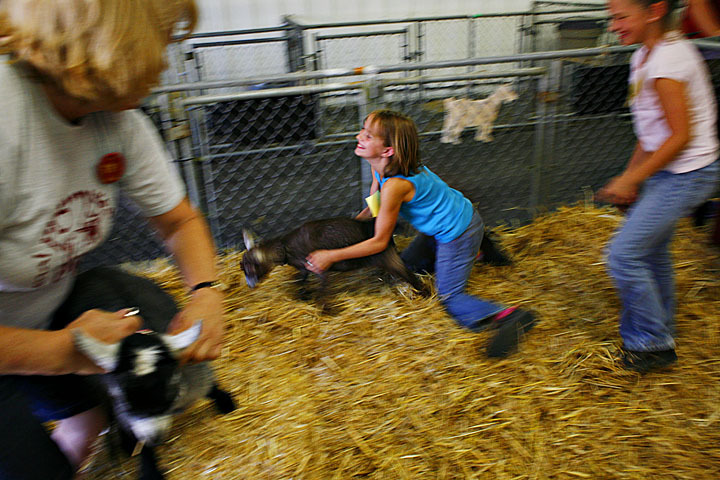 Debbie Bond, left, Grace Zylstra, 9, center, and Tilly Zylstra, 11, right attempt to leash pygmy goats before showing them Aug. 30, 2007 at the pygmy goat barn at the Evergreen State Fair in Monroe. Seattle may legalize mini goats. The animal shelter would license pygmy goats as pets, according to a proposal by City Councilmember Richard Conlin. Pygmy goats, which are about the size of large dogs, would benefit urban sustainability, according to Conlin, since they provide milk, cheese and compost. They also do not smell bad, so long as the males are neutered. Portland and Everett already allow mini goats to be kept in the city. 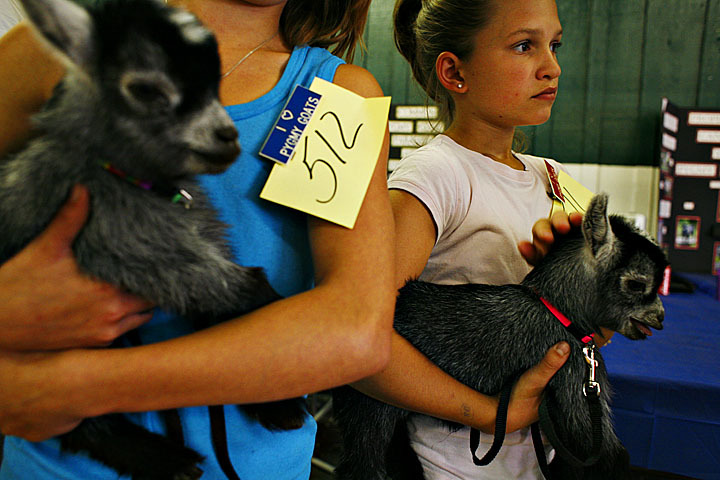 Grace Zylstra, 9, left, and Tilly Zylstra, 11, right, prepare to show pygmy goats. They don’t own the goats, but help out the lady who does. 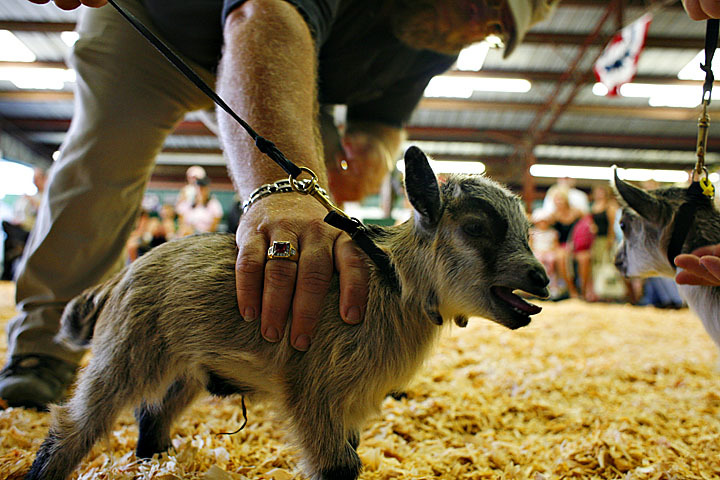 Mark Adkins judges a pygmy goat during a show for goats that are zero to three months old. 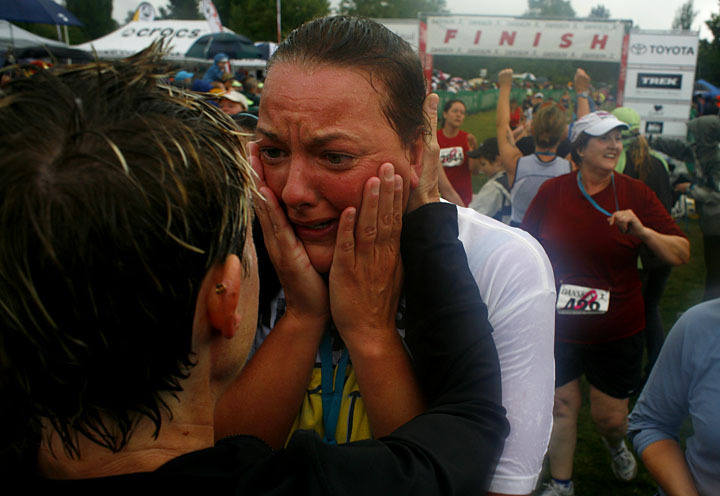 Bruce Sully, right, is called as the second place winner in the 16 year-old and up division of the pie eating contest Aug. 30, 2007 at the Evergreen State Fair. Contestants had to eat a quarter slice of pie with their hands behind their back. Last year, Sully won first place. 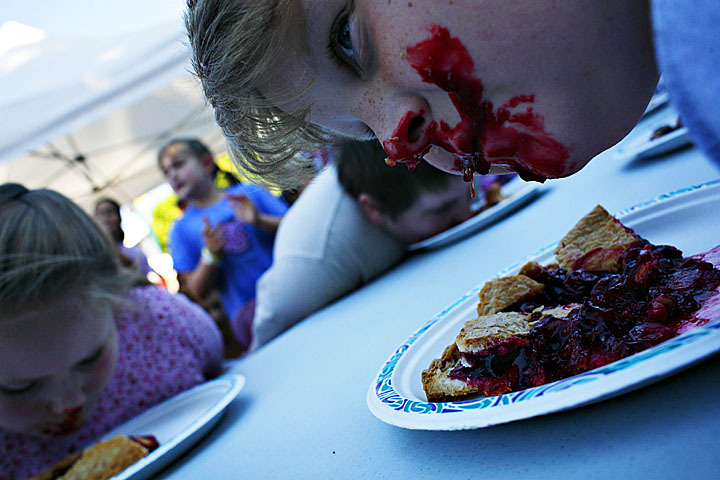 Phillip Zachman, 10, checks out the competition during a pie-eating contest for 10-15 year-olds Aug. 30, 2007 at the Evergreen State Fair. 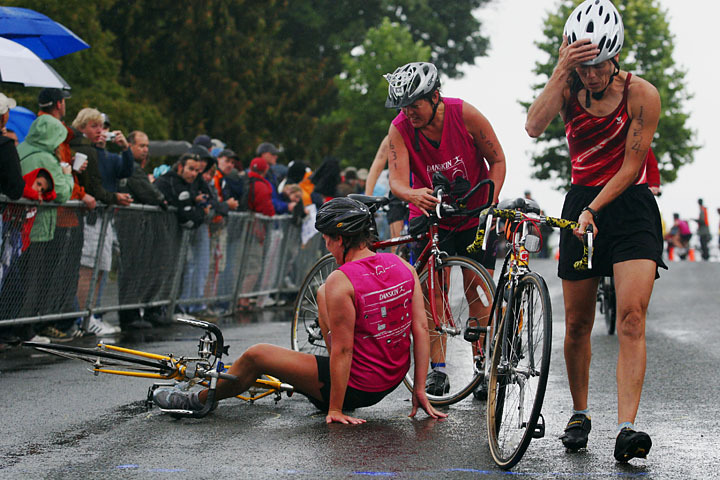 Competitors had to eat a quarter slice of pie. Zachman did not place. 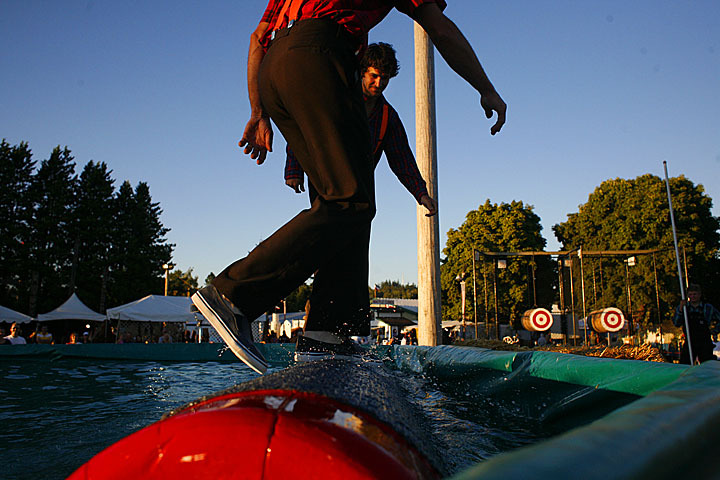 Les Kinley, foreground, challenges Brian Bartow to log rolling Aug. 30, 2007 at the Evergreen State Fair. Both are part of the International Lumberjack Shows. 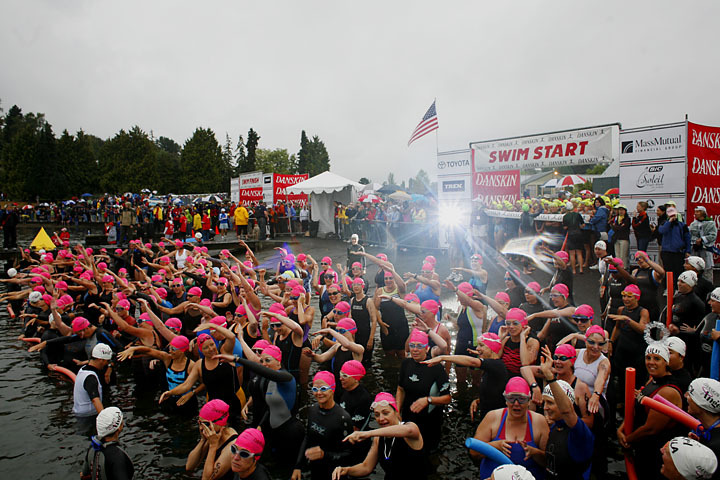 Kinley, a former champion logger games contender, won the event. 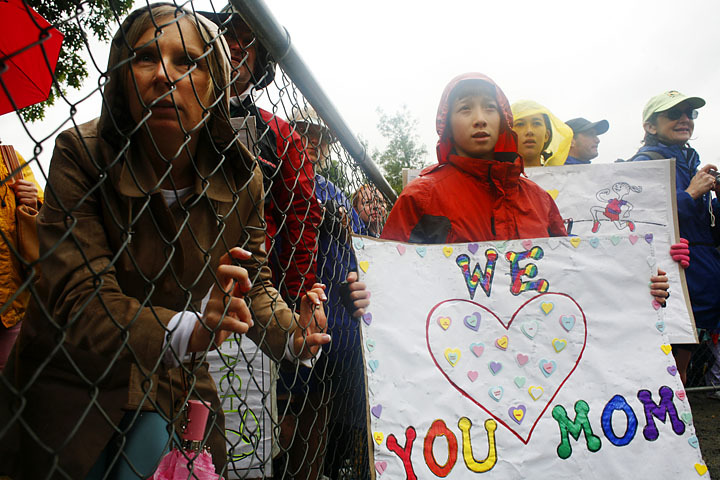 Alvie Marcellus, left, and brother Earl saw through a log Aug. 30, 2007 at the Evergreen State Fair. Both are part of the International Lumberjack Shows. 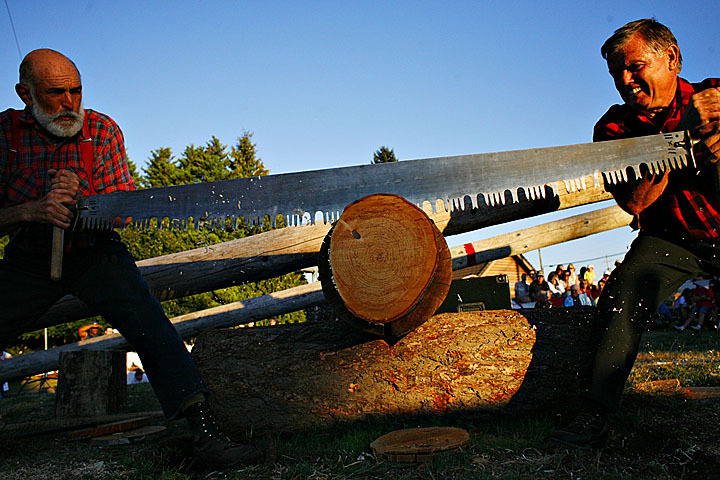 In addition to working at the show where he began 36 years ago, Earl also runs a logging business full-time. 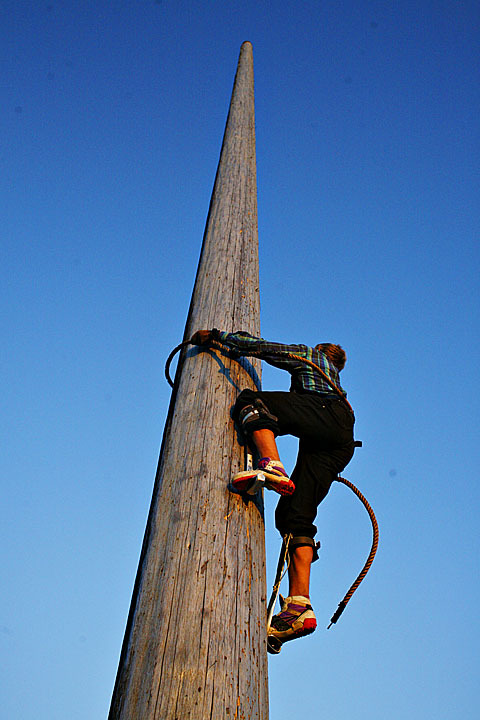 Sammy Bisbey, 17, speed climbs up a 70-foot log Aug. 30, 2007 at the Evergreen State Fair. Alex Larson, 15, tries his luck and skill on the fairway Aug. 30, 2007 at the Evergreen State Fair. Larson rang the bell and won an inflatible hammer decorated like an American flag. 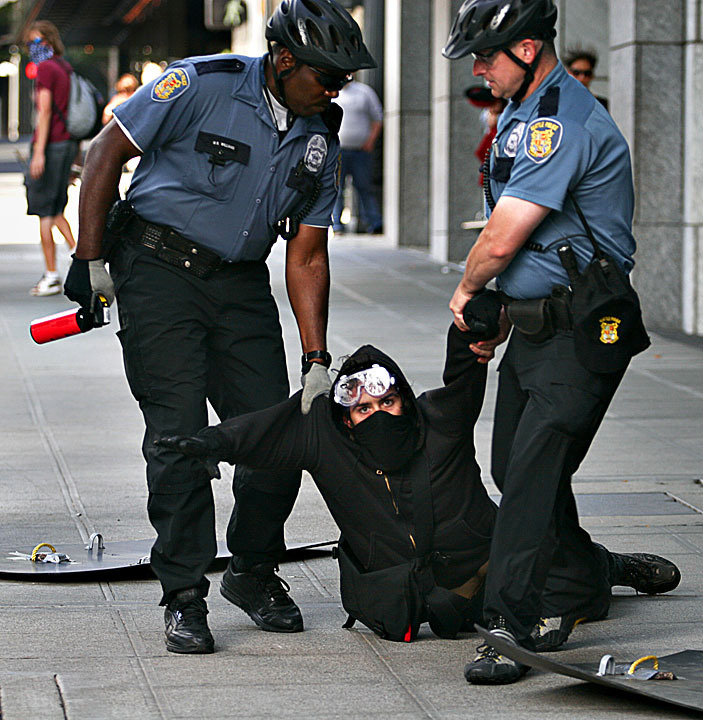 A counter-protester is arrested by the Seattle Police Department following a “March for America” protest in downtown on Saturday. 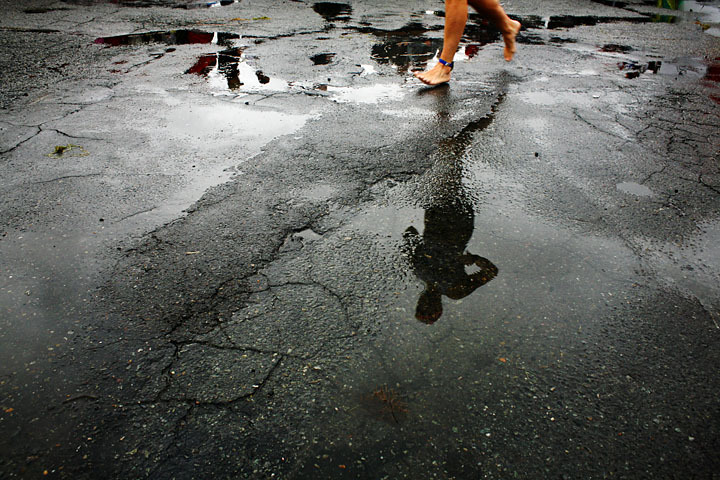 The counter-protester was alledgedly spotted earlier by the police tossing water balloons at the Minutemen and members of the John Birch Society protesting at the Federal Building across the street Aug. 18, 2007. Protests were planned to coincide with the third SPP summit in Quebec, Canada where President Bush, Canadian Prime Minister Harper and Mexican President Calderon will be meeting to further their open borders and “North American” integration agendas.